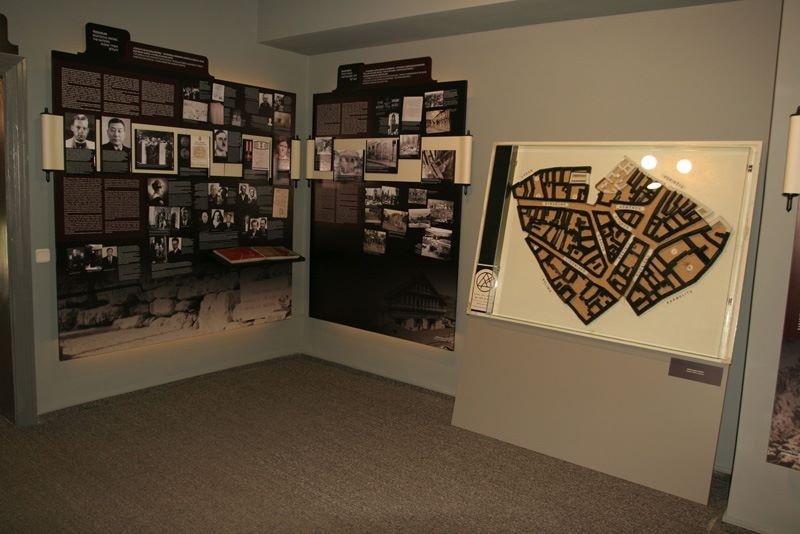 On Yom Ha-Shoah, or Holocaust Remembrance Day (this year – April 12) we kindly invite you to visit museum’s Holocaust Exposition (Pamėnkalnio St. 12, Vilnius) for free and / or take part in a free guided tour. The visiting hours are 9 a.m. to 5 p.m. The tour in Lithuanian language will take place at 12 p.m., the tour in English language will start at 1 p.m. No registration is inquired. During the tour you will learn about the life of Lithuanian Jews before the Holocaust and the way it changed since the start of the World War II. We will discuss the circumstances and the history of the Holocaust in Lithuania, the importance of armed and spiritual resistance in the Vilna and Kovno ghettos, forced labour and concentration camps during the Nazi times as well as the destruction of Jewish heritage during the Soviet era. There will also be an opportunity to visit the installation of a "malina", a former ghetto hideout, and hear excerpts from the diary of Yitzchak Rudashevski. You are also invited to visit Paneriai memorial site (visiting is free the entire year) and other mass murder places. You may find more information about them in the “Holocaust Atlas of Lithuania”: http://holocaustatlas.lt/EN/.